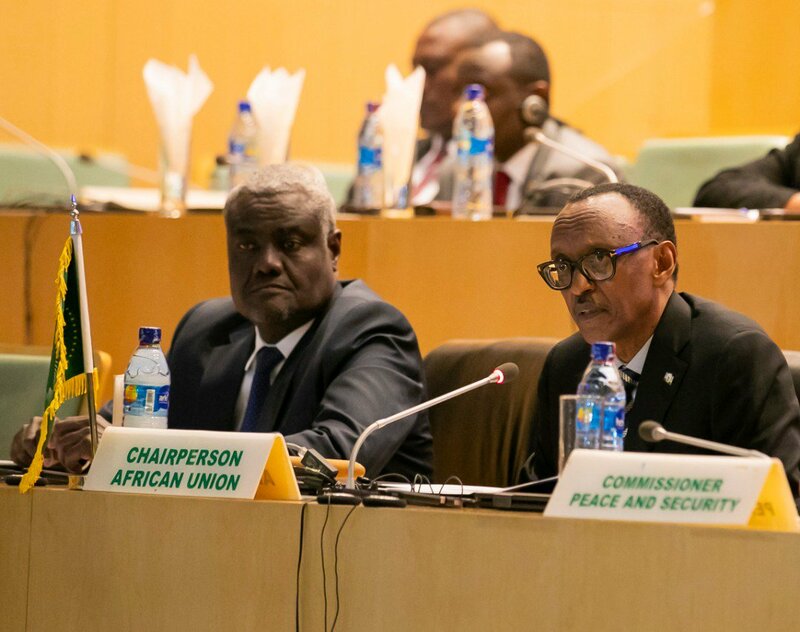 AU Chairperson, President Paul Kagame (R) and Chairperson of the AU Commission, Moussa Faki Mahamat (L) during a previous meeting. The African Union (AU) has postponed a visit to the Democratic Republic of Congo (DRC) by the body’s high delegation which had been scheduled for Monday without stating the reason. Last week, the African Union Chairperson, President Paul Kagame of Rwanda convened a meeting in Addis Ababa, Ethiopia and invited a few African leaders who lead the continent’s regional blocs, including President Museveni of Uganda who is the Chairman of the East African Community, Idriss Deby of Chad and Prime Minister Abiy Ahmed of Ethiopia. The meeting whose objective was to deliberate on the disputed election in DRC resolved to call for a delay in announcing the final results of the December 30 Presidential election until an AU delegation has interacted with the stakeholders in the impasse. The Kagame led meeting observed that there were “serious doubts on the conformity of the provisional results”, as proclaimed by the DRC Electoral Commission, CENI. “Accordingly, the Heads of State and Government called for the suspension of the proclamation of the final results of the elections,” a joint communiqué issued after the meeting read in part. AU said it would urgently dispatch to the DRC a high-level delegation comprising the AU Chairperson, other Heads of State and Government, as well as President Paul Kagame – the Chairperson of the AU Commission. 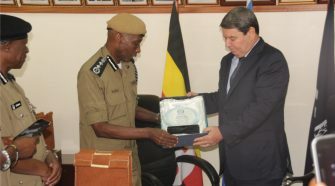 The delegation would interact with all Congolese stakeholders “with the view to reaching a consensus on a way out of the post-electoral crisis in the country”. But the AU has now in a statement said the visit to DRC has been pushed ahead. This followed the ruling by the constitutional court in DRC which upheld the provisional results by the electoral commission declaring Felix Tshisekedi as winner of the election. Martin Fayulu had filed a petition in court challenging the result by the electoral body and citing fraud. The commission calls on all concerned to work for the preservation of peace, stability and the promotion of national harmony in their country, added the statement. “It should be noted that the visit of the high-level delegation to Kinshasa on 21 January has been postponed,” the AU said. Another AU summit scheduled for next moth “will receive a report on the efforts made in solidarity with and support to, the people of Democratic Republic of Congo”. The postponement of the AU delegation’s visit to Kinshasa comes at a time when observers had begun to raise questions on the AU’s premature decision to delay election results which some said undermined the powers of the Congolese courts of law. Some analysts said that AU ought to have waited for the decision taken by court lest it would be seen as meddling into the affairs of DRC. On Sunday, the Southern African Development Community (SADC) Chairman issued a statement congratulating Tshisekedi and recognizing him as the legitimate winner of the election. SADC further stressed the need for respecting the sovereignty and territorial integrity of DRC.